As developers of the Pelican Waters master planned community we regularly require the services of a professional certification company. The BA Group has fulfilled this role for us over many years and will continue to do so based on the high standard of service provided. Greg and his team have managed numerous Building Approvals for us covering all manner of structures and has also provided technical support in relation to the Building Codes and interpretation of Australian Standards. We highly recommend the BA Group. 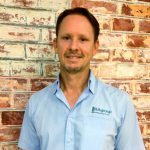 Greg has been an accredited private building certifier for 16 years and has extensive experience within the building certification industry. Greg has been involved in numerous projects ranging from residential apartment buildings and shopping centre development to low density residential development. 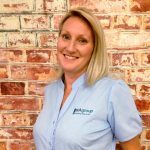 Corinne has been working with BA Group for 7 years and has extensive experience in management and customer service roles. Corinne worked for many years in the banking industry and rose to the level of Customer Service Manager of the Asia Pacific Region for an international bank.